> reactions like yours so I was right. Explain how my reaction was "angry"? Did I make assumptive derogatory remarks towards you? 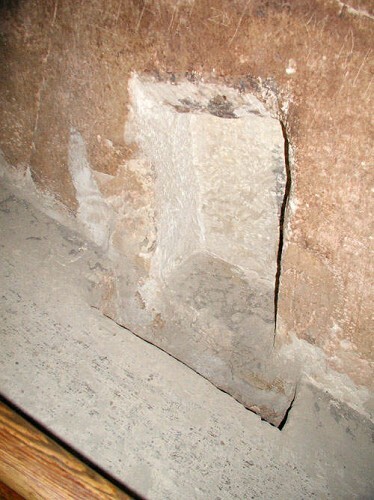 Maybe it wasn't or maybe it was, but despite my bringing it up multiple times now you still have not explained how these markings constitute "indisputable proof" it was not a tomb. > and it very much looks like that. If this chamber was regularly flooded with water from the shaft would we not expect to see a distinct and regular water line let alone one that was the same color as what was coming out of the shaft? And why does water magically make granite a technicolor milky white as well? > you want to believe. 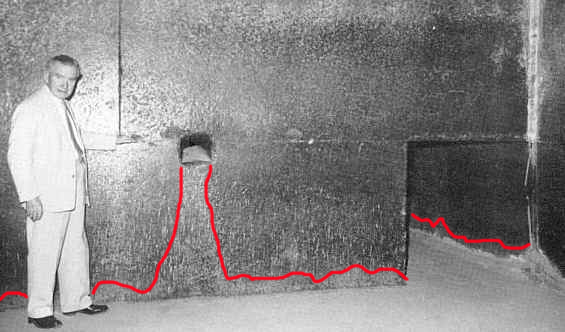 And why don't we see these same water marks inside the shafts? Or water erosion near the exits at the exterior? Why were the shafts closed off in the QC if made for water? How does water get around the multiple sets of doors? Nah, you're right. Probably water. Did water make it white? Go find a dark rock outside and chip on it with a hammer and notice how the area you chip is magically "white" by comparison. Now take a black and white picture of it. > details overlooked by researchers. They were standing right there and noted it had black soot all inside it and at the mouth but completely missed the white "waterfall" of goo spilling out of it? Come on. > conclusions that don’t fit in their theory. This is nonsense. 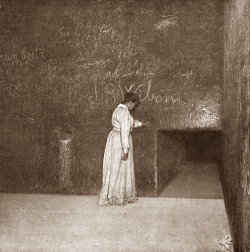 There are numerous written accounts of these shafts before the walls were cleaned and none report what is seen in this one photo and people like Greaves and Sandys, for example, did not care whether they were "tombs" or not. And even if they were water marks, again, how does this by default negate the tomb theory? Would not even the most ardent supporter look for an explanation of how water got down the shaft regardless of if they thought it was a tomb or not? How about Egyptologists for one. "This marvelous object [the Great Sphinx] was in existence in the days of Khafre, or Khephren, and it is probable that it is a very great deal older than his reign and that it dates from the end of the archaic period." Maspero thought it to be "the most ancient monument in Egypt" and considered it very possible the Sphinx predated the pyramids. 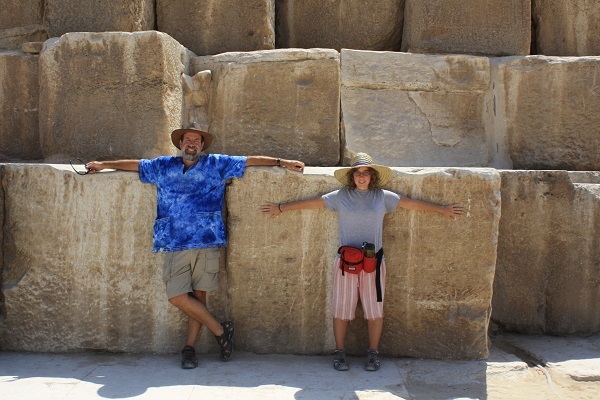 "The date of the Granite Temple has been so positively asserted to be earlier than the fourth dynasty, that it may seem rash to dispute the point." Which he then goes on to do just that which is where modern Egyptology's views come from, but I mention this to illustrate the mindset of the day which largely held the view the Sphinx and associated temples predated the 4th Dynasty. 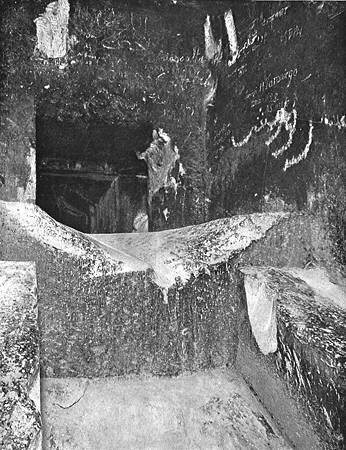 Many alternative researchers prior to 1993 held this view the least of which West himself who wrote extensively on the subject, namely the water weathering, nearly a decade before in the Traveler's Key to Ancient Egypt, 1985 which is what the TV documentary was based on and what prompted him to contact Schoch in the first place. Only to those who do not know better. Edited 5 time(s). Last edit at 14-Aug-17 02:08 by Thanos5150.